Hello, my name is Anna Thorsjö of Pei Attention Chinese Shar Pei. 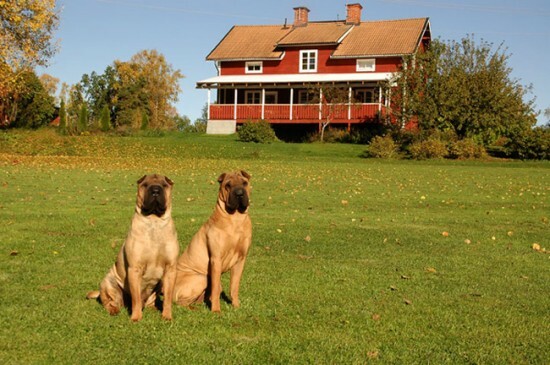 I currently live just outside of Katrineholm, Sweden with my partner Christian and our 4 dogs. I have been interested in breeding, genetics and pedigrees since I was 10 years old breeding hamsters. With over 17 years experience breeding, showing and judging in the ”Hamster-world”, I acquired in 2004, my first Chinese Shar Pei, Mc Carthy’s Cadillac Blue Dynamite, a.k.a., Skrynkel, from Helene Nilsson, Moholm, Sweden. Skrynkel is my big love and joy. When I was an editor for a pet magazine for children, Skrynkel had his own diary in the magazine and he still have a homepage for the children (www.skrynkel.se). All my dogs are active participants in the sport of Bloodtracking. 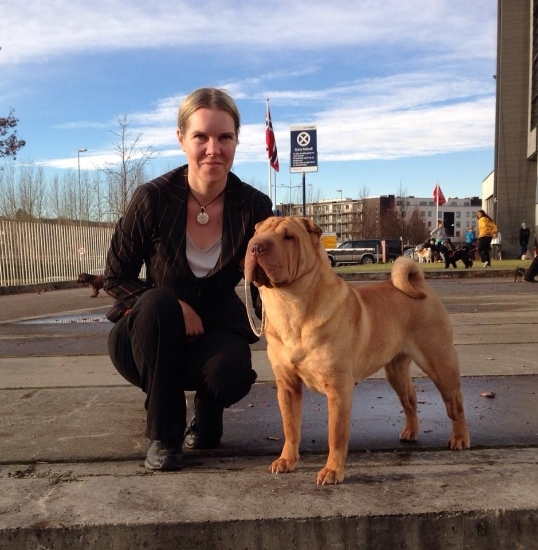 Skrynkel is the first Chinese Shar Pei Champion in Bloodtracking in Sweden and Norway and we are very proud of him. If you would like to know more about me or my dogs, or maybe make a visit to met the pei-gang, you are welcome to contact me for a chat or make an apointment for visiting us.